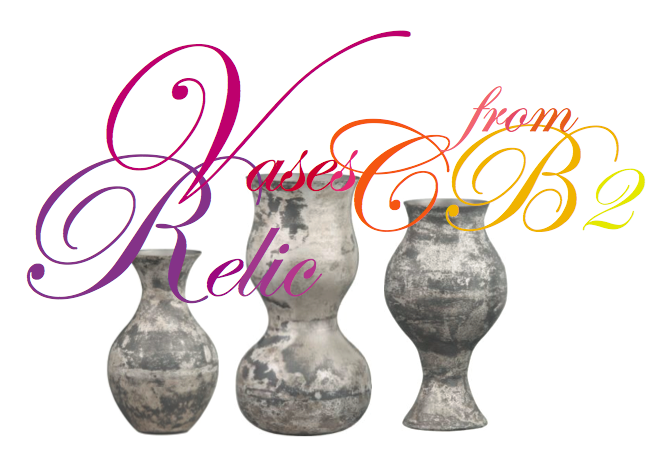 Find of the Week: Relic Vases from CB2! These vases are really basic and simple: at first I thought they were concrete, but they’re actually oxidized aluminum. Which means they’re light…and you know how much that matters when you’re lugging them from sink to table. They’re elegant and refined, but cheap and chic and very versatile: put them on the Saarinen table in your modern loft or next to a classical urn on your distressed French Country table with fluted legs. Either way – they look beautiful! Get them at CB2: you can have all three for under $30! ← Mood Boards for Monday!